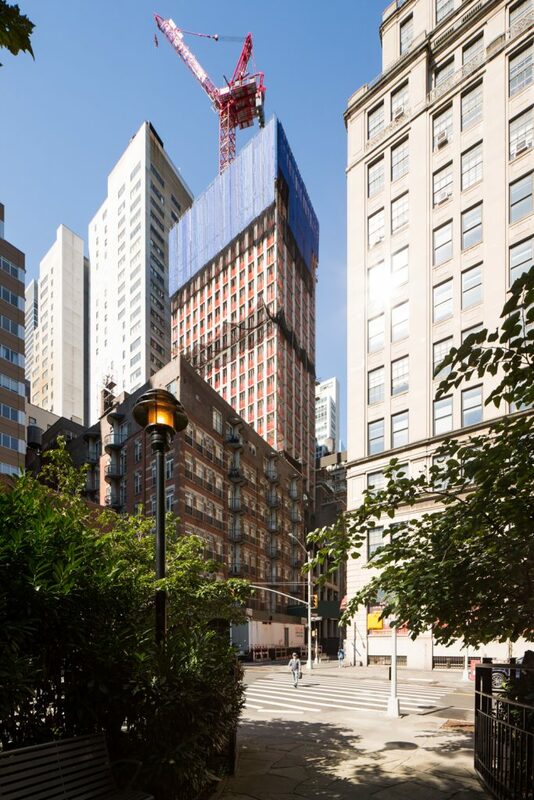 130 William Street is one of the most highly anticipated buildings currently rising in Lower Manhattan, and after sales launched earlier this summer, another milestone is at hand. 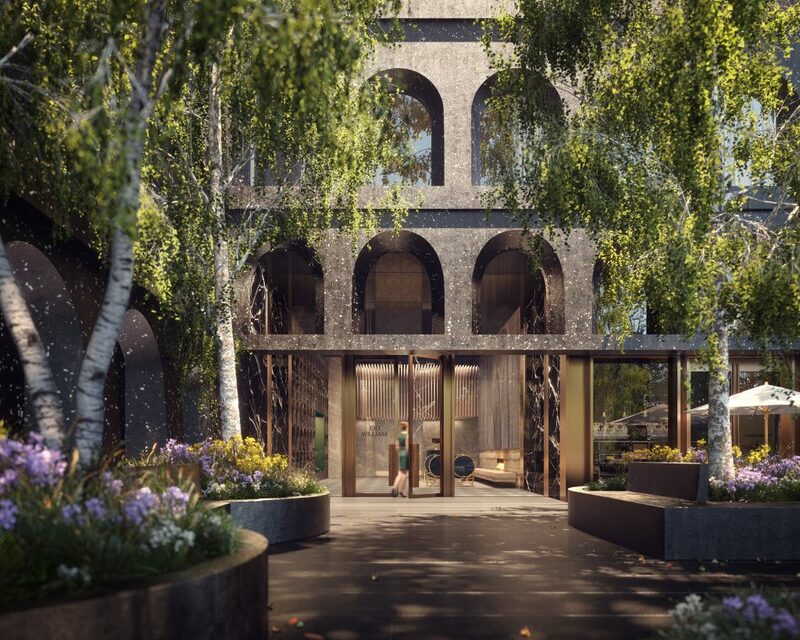 The hand cast and oversized concrete arches that will make up the façade, which are purposefully evocative of the city’s historic fabric from the 19th and early 20th centuries, are now quickly rising along the exterior. 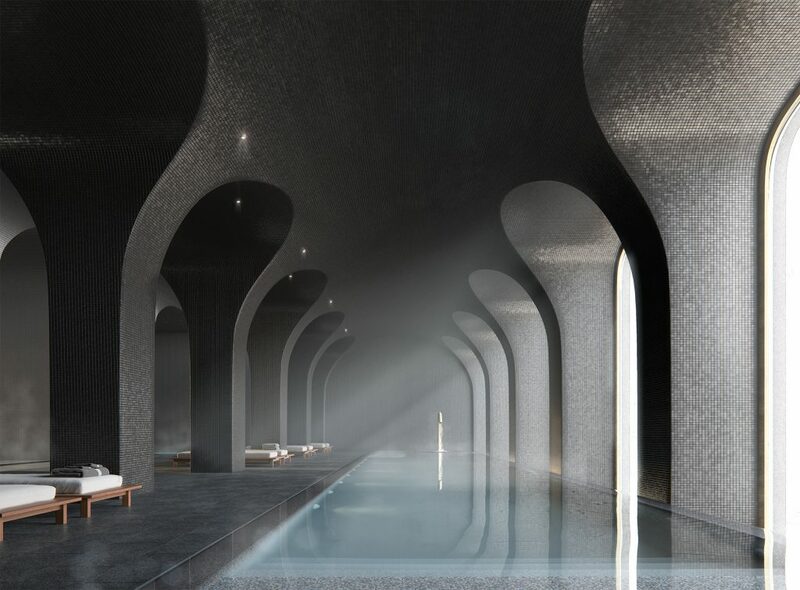 Adjaye Associates is responsible for the design. The tower has made remarkable progress since YIMBY last checked on progress in June. 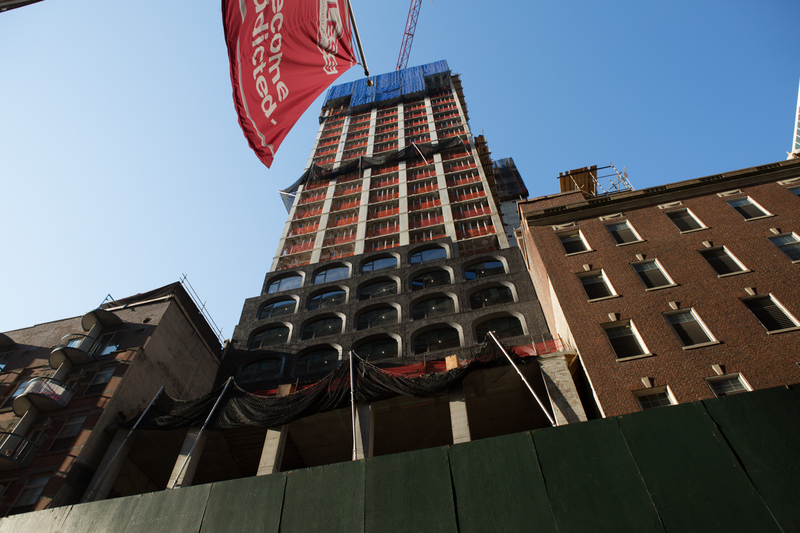 The superstructure has reached the 27th floor, or about forty percent of the way toward its 66-story peak. Once complete, it will add a substantial 244 condominiums to the city. 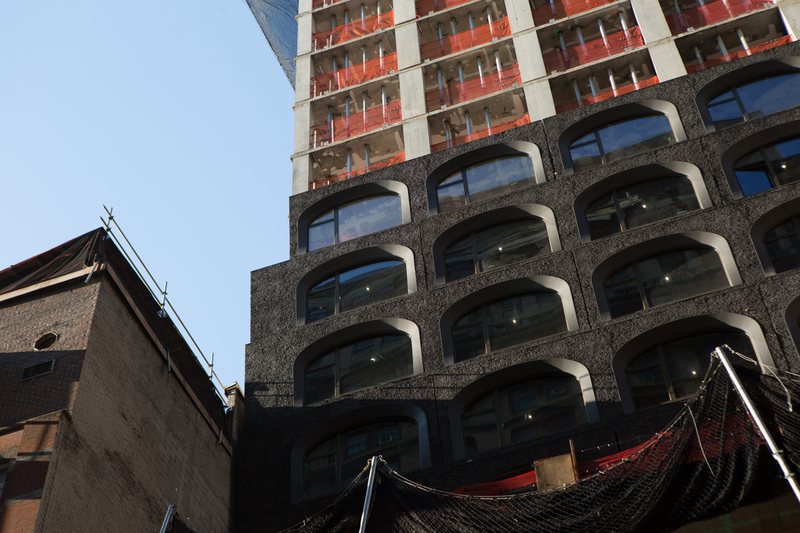 The building will be a revolutionary addition to the city’s skyline. That it is the first skyscraper in the area with arched windows would be enough for it to be remarkable, but the reversed-pyramid angle between each floor will translate to a subtle and unique profile. The exterior will also feature bronze detailing. 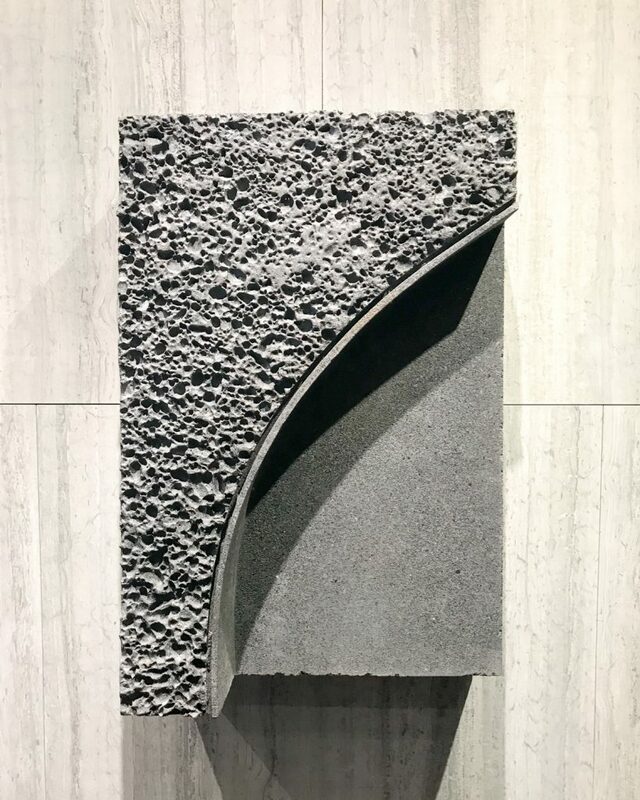 Hill West Architects is the architect of record, and Lightstone is responsible for the development. Corcoran Sunshine is handling sales and marketing, which was launched just this summer. 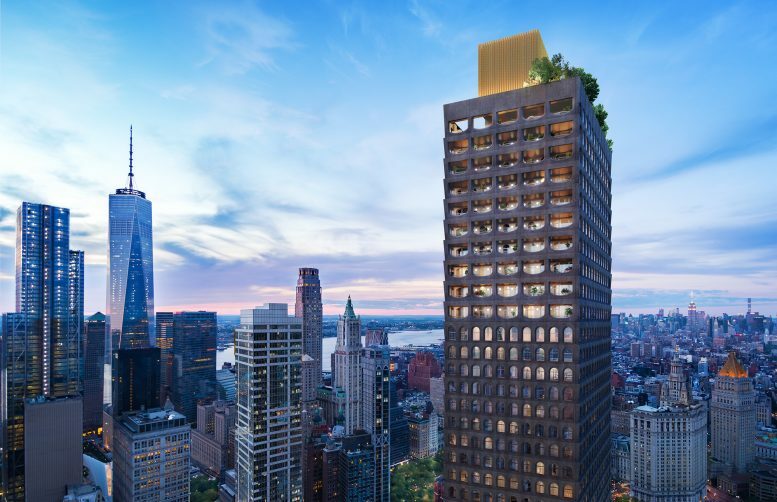 According to a rep, the project’s numbers have led all new developments in Manhattan since the launch. 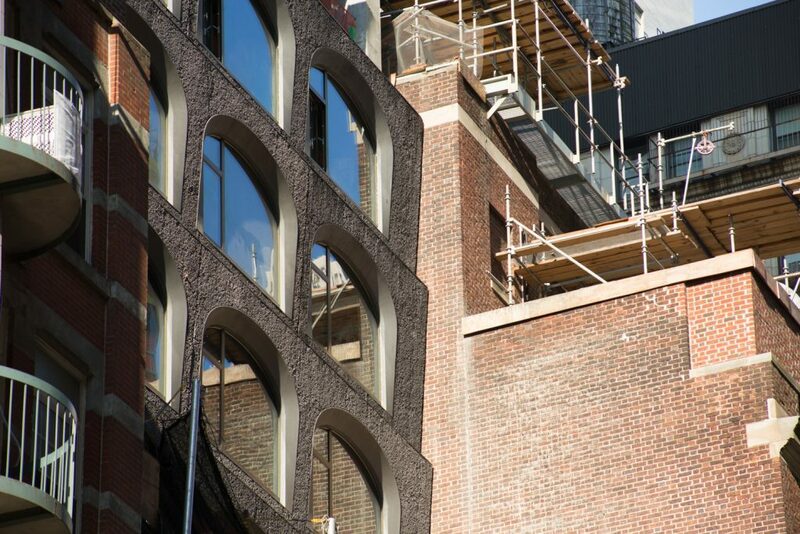 1 Comment on "Façade Installation Starts for David Adjaye’s 66-Story 130 William Street in The Financial District"